How to Select and Optimize Primary Antibodies for IHC? How to Select & Optimize Primary Antibodies for IHC? Immunohistochemistry (IHC) is a widely used technique to analyze the anatomy of the tissue of interest and to visualize the expression, the localization, and the intensity of a specific antigen. Although IHC is a relatively easy and straightforward technique, the quality of the staining may be influenced by several variables that need to be considered to produce reliable and consistent data. Enzo‘s complete set of IHC tools improves the quality and efficiency of your IHC process from start to finish. Avoid ambiguity with high-sensitivity and low background reagents that are compatible with manual and automated platforms. Combined with the market’s most extensive palette of unique chromogens, Enzo provides the flexibility needed for simple or complex protocols. 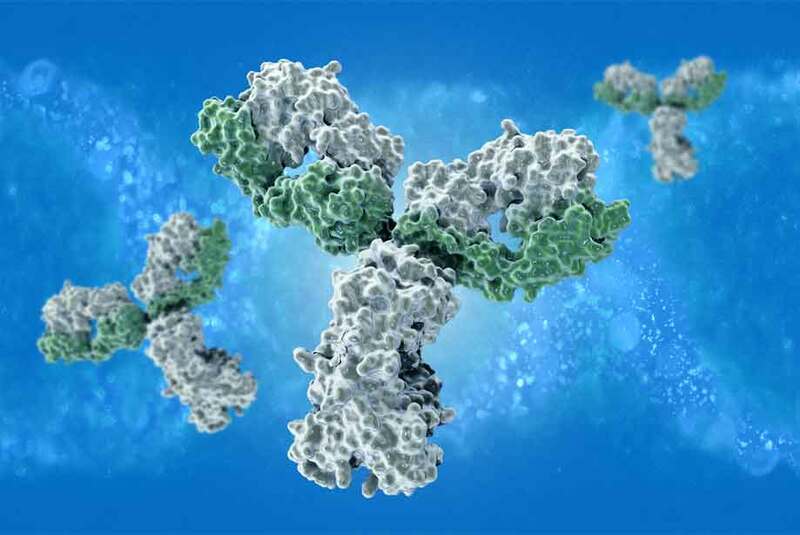 What is a primary antibody? Primary antibodies are defined by their Fab variable region paratopes that display specific binding to target epitopes. This specific binding transcends to IHC where antibodies may be used to detect specific antigen markers on tissue samples. The strength of binding can often be quantified with the affinity constant (Ka), which represents the antibody-antigen complex formed during equilibrium. Factors that determine this value often depend on how well target epitopes fit in antibody paratopes and may vary drastically between different antibody-epitope binding pairs. Binding affinity often influences considerations for optimal dilution ratio, incubation time, and consecutive wash cycle resistance. How can I validate the antibody binding specificity for my target of interest? Information regarding target protein sequence and post-translational states can generally be obtained from a protein sequence database such as UniProt. For many, the first method for validation is to compare homogeny between antibody immunogen and target protein sequence using sequence alignment programs such as BLAST. In the most optimal situations, usage of additional techniques in conjunction may provide even greater validation for antibody-antigen compatibility. The possibility for nonspecific binding with other endogenous antigens is an occurrence that one may encounter. This often provides highly undesirable background staining that may interfere with results. An ideal negative control involves staining for established knockout tissue samples that do not express the target protein. A more accessible alternative would be to obtain an established cell line that is known to not express target proteins. In either situation, expected results should display an abscence of signaling. Western blots are often used as a direct method to determine whether there is sufficient antibody-antigen reactivity. Specific target selection is often represented with single-band staining located at the known target molecular weight. Contrarily, the presence of multiple band staining near the intended molecular weight indicates a probable tolerance for post-translational modifications. It may also be possible that the intended target displays no signal which can result from a variety of reasons. A possibility could be due to some antibodies being generated using synthetic peptides that do not correspond to the native 3-D structure of targets. Future considerations or concerns when using these primary antibodies should be taken into account when proceeding with IHC samples. Will the antibody work in my IHC application? Under ideal circumstances, use antibodies that have already been validated for IHC. Antibodies that have not been validated are often tested against at least one other non-IHC method to serve as sources of comparison for IHC success. However, be aware that an antibody successfully working in a non-IHC protocol is not guaranteed to also perform well in IHC. A frequent example is western blotting, which is one of the most common preemptive methods to determine IHC compatibility. Frequently used samples are cell and tissue lysates that align closely to IHC tissue sample targets. Successful staining in western blot samples is often a good sign that the antibody should work in IHC as well. However, various fundamental differences between these two procedures may also prevent success from translating as well to IHC. Many IHC protocols frequently introduce aldehyde fixing reagents such as formaldehyde and glutaraldehyde. These reagents are known to crosslink amino acids in order to enable the crucial fixation steps. Tertiary structures are often distorted in such a way that binding affinity may be severely diminished from antibody binding. Nevertheless, validating these non-IHC methods often serve as invaluable tools for providing insight on experimental success. Which type of antibody should I use? Monoclonal or polyclonal? Monoclonal antibodies are derived from hybridoma cell lines, which is the result of immortalized B-cell lymphomas being exposed to an antigen of interest to elicit immune response. Common host animal species include rabbit and mouse. The resulting antibodies display greater specificity towards one particular antigen epitope. Hybridoma cell lines may provide less variation in reactivity between different lot productions. An advantage of using monoclonal antibodies is the greater likelihood of reproducing experimental results as a consequence of less variation between different lot productions. Greater monospecificity also provides decreased reactivity with other antigens, resulting in less vivid background staining. However, natural consequence of this monospecificity is a less robust sample signal compared to polyclonal antibodies. Experimental protocols that result in subtle shifts in epitope structure can potentially have drastic effects on staining. Polyclonal antibodies result from multiple B-cell clones that arise against a specific antigen injected into a host animal. These host animals are often more varied than monoclonal antibody production and include species such as horse, donkey, pig, mouse, and rabbit. Due to polyclonal antisera including multiple antibodies from multiple B-cell clones, there is a greater potential to recognize differing epitope configurations. Subsequently, this also means that one should expect greater variation between different lot productions. An inherent advantage of using polyclonal antibodies is greater signal detection due to the multiple epitope configurations that can be recognized. There is also a greater tolerance for changes in experimental conditions that could possibly induce changes to epitope structure. However, greater epitope recognition may also result in more nonspecific staining that results in higher background signal. Polyclonal antibodies may show lower chances of reproducing experimental results as a consequence of greater lot-to-lot variation. Should I worry about the primary antibody host species? One should generally be cautious when using an antibody that is produced from the same host animal as the tissue sample species. Secondary antibody staining is generally directed against the primary antibody species. Samples that include the same animal species in both primary antibody and tissue samples can expect secondary antibodies to indiscriminately stain for all structures on samples. This may be circumvented by conducting a direct IHC experiment. This eliminates the necessity for a secondary antibody by using a pre-conjugated primary antibody. Enzo provides over 40 years of experience in the manufacturing and supply of research kits, biochemicals, and biologicals. Our growing list of over 1000 IHC validated antibodies includes those for the detection of key signaling proteins, cell surface markers, mediators of cell death, oxidative stress, heat shock proteins, proteasomes, and more. We know IHC optimization can be a time and resource consuming endeavor. You can back any of our antibodies with our Worry-Free Antibody Trial Program, even those not validated for Imunohistochemistry. As Scientists Enabling Scientists, we realize the value in providing relevant information to our customers working in the fields of life sciences, drug development and clinical research. We are happy to provide simple yet useful tips and guidance for your research needs. Please check out our IHC Troubleshooting Guide, 10 Successful IHC Tips, or contact our Technical Support Team for further assistance.